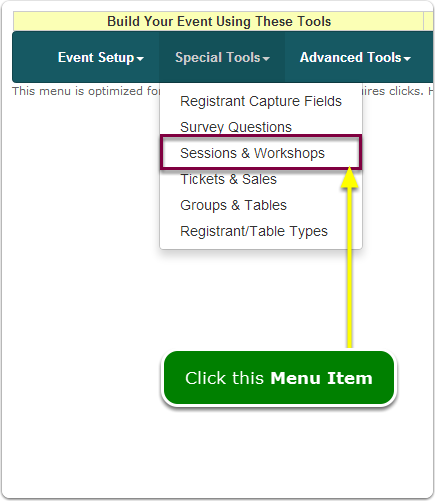 Help Documents - Version 5 Add Sessions (Workshops, Breakouts)How do I change the display order of sessions? 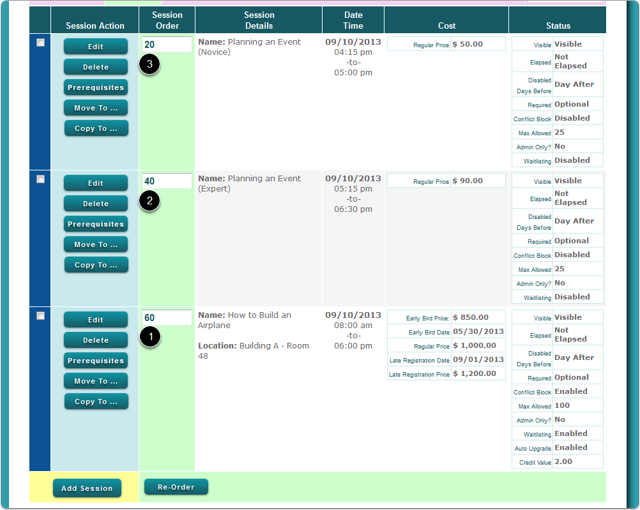 This example shows a group containing 3 sessions. We want to bring session #60 to the top and swap positions of the 2 "Planning ..." sessions. All re-ordering can be done in one operation. Need to re-order your Groups? 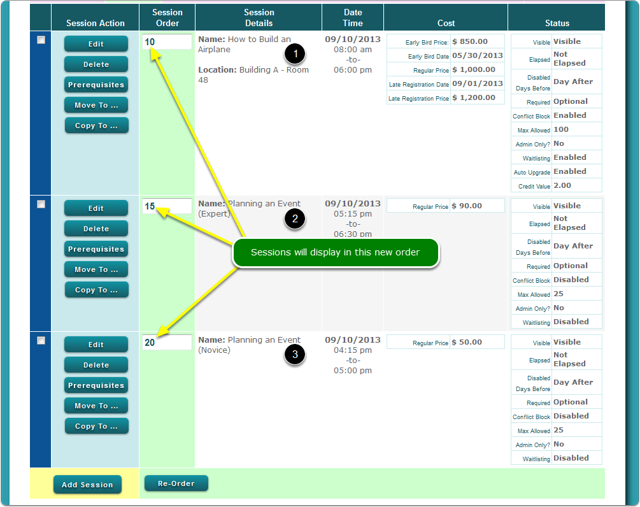 View this document: How do I change the display order of session groups? Prev: How do I change the display order of session groups? 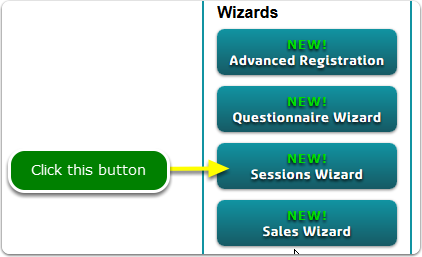 Next: How do I set a maximum number or minimum number of session selections WITHIN ONE GROUP?